PT Komatsu Indonesia (KI) received the Deming Prize Awards from JUSE (Union of Japanese Scientists and Engineers) on November 14, 2018 in Keidanren Kaikan, Tokyo, Japan. 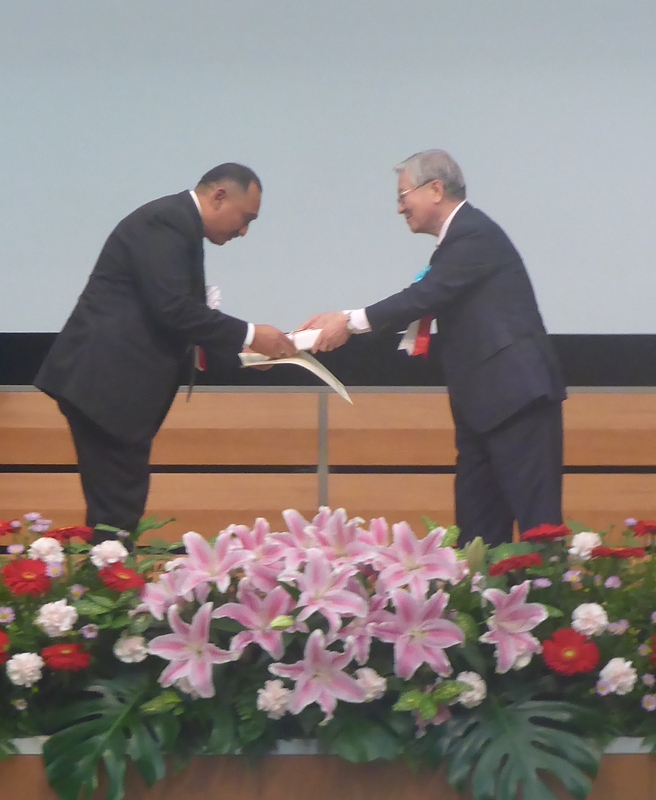 The Submission of the Deming Prize Medal was conducted by Chairman of Deming Prize Committee, Mr. Hiroaki Nakanishi, to President Director of PT Komatsu Indonesia, Mr. Pratjojo Dewo. The Deming Prize is one of the highest awards in implementing total quality management (TQM). Starting in 1951, this is the oldest and most widely recognized award in the world, given to companies that in the preparation of their business goals and strategies are always customer-oriented and implement TQM to achieve them. This award has been making the gold history for KI as the first company in Indonesia that accepting Deming Prize. This achievement strengthens the commitment of KI and the groups, along with UT as a distributor, as well as suppliers as business partners, who has been always prioritizing customer satisfactions. This achievement has been also strengthening Komatsu's position as the market leader of heavy equipment in Indonesia.